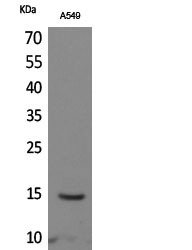 Western blot analysis of A549 cells using the Histone H2BK126ac (Acetyl H2BK126) Polyclonal Antibody. 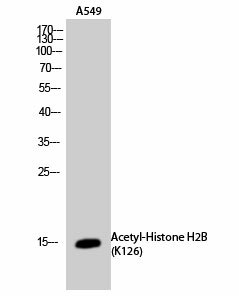 Histone H2BK126ac (Acetyl H2BK126) Polyclonal Antibody. Unconjugated. Raised in: Rabbit.